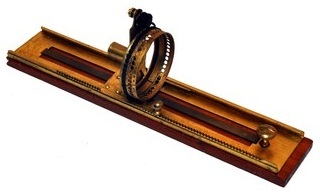 Peter Hood, of Kirriemuir, a burgh in the county of Angus, Scotland, in 1857 built a typewheel typewriter with a circular index plate, geared together at right angles. The Hood typewriter, along with one made three years later by another Scot, John Cox, is in the Science Museum of London. 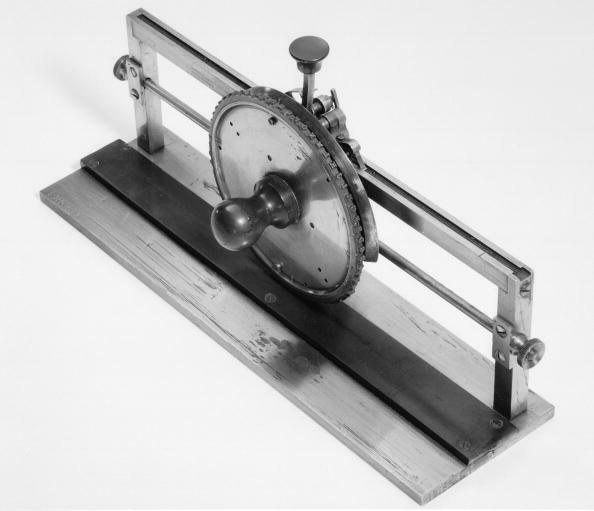 Hood’s typewriter represents an early use of a vertical typewheel and horizontal circular index. 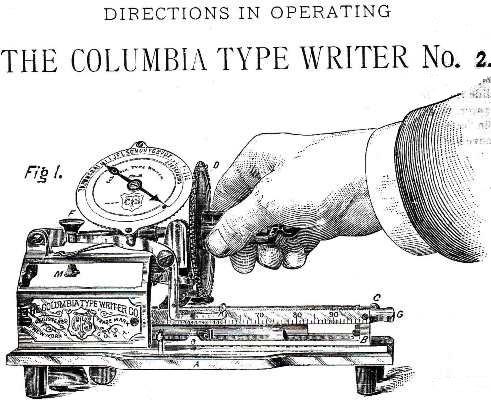 The two components would appear a quarter of a century later on Charles Spiro’s successful Columbia typewriter. Hood was a blacksmith’s son who followed his father’s occupation. But ill-health forced him to give it up and he became a watch and clockmaker. He carried out this trade in the attic of a little cottage, where he lived in semi-seclusion with his two unmarried sisters. 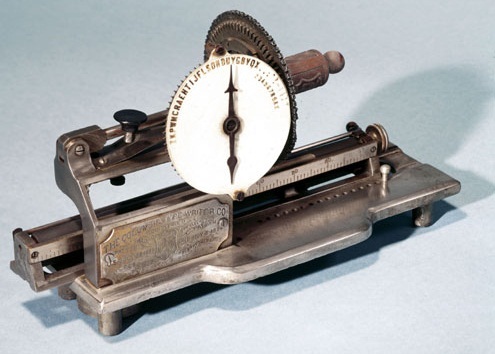 Here, in addition to watches and clocks, he built many original and highly ingenious mechanisms. 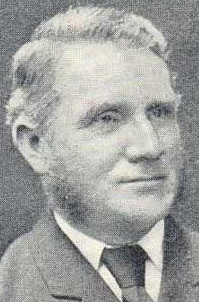 One of his patrons was a James Arrol, a relative of Sir William Arrol (above), the famous civil engineer, bridge builder and politician. 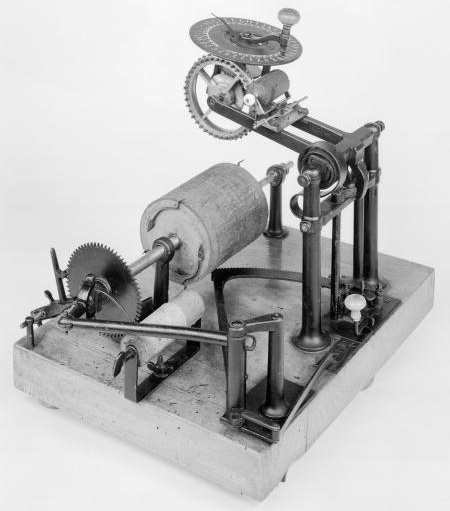 This man was blind and Hood was commissioned to build a typewriter for him, which Hood did with some success. 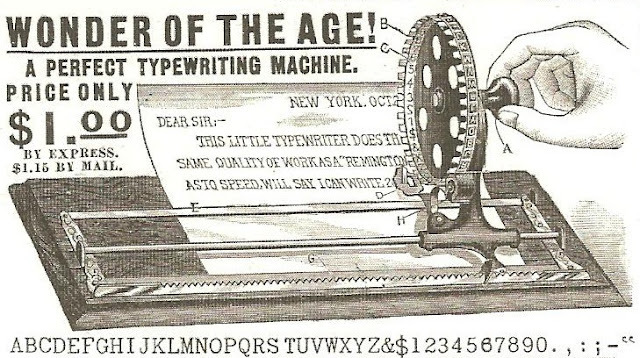 It is not thought this machine was necessarily for the blind Mr Arrol, but without any previous knowledge of typewriters, Hood is believed to have built two machines in 1857, one of which is known to have been sent to America. A third machine by Hood, now in a Glasgow collection, does not appear to have been recorded in typewriter histories. Hood, who was born in Forfarshire in 1833, died aged 40 in 1873. 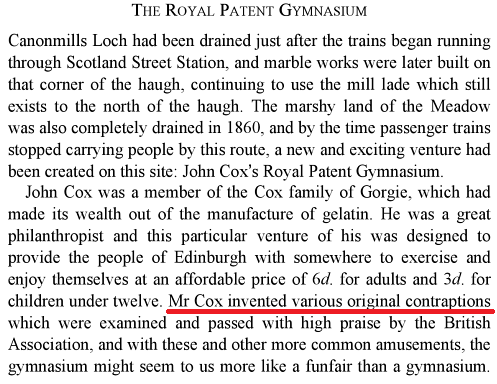 The second Scottish typewriter inventor, John Cox, of Gorgie Mills, Edinburgh, was a glue maker and inveterate inventor. As early as 1844, Cox had perfected a new gelatine that was destined to be used some 25 years later in the production of rapid gelatino photographic plates. It was reported that this gelatine was tried for photographic purposes in 1849-50, but the tests had failed. 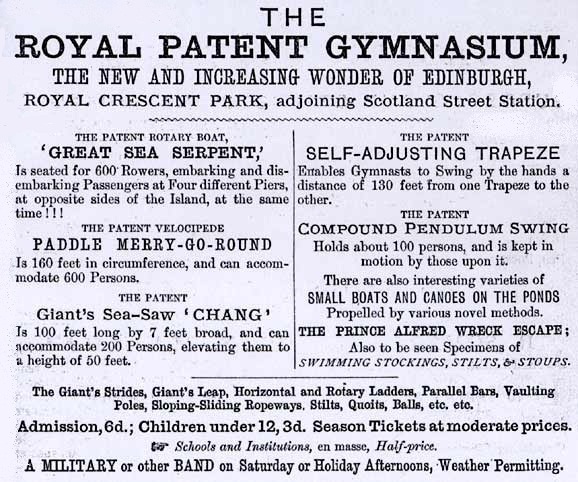 Cox was also the man behind Edinburgh’s famous “Royal Patent Gymnasium”, which opened in 1865. 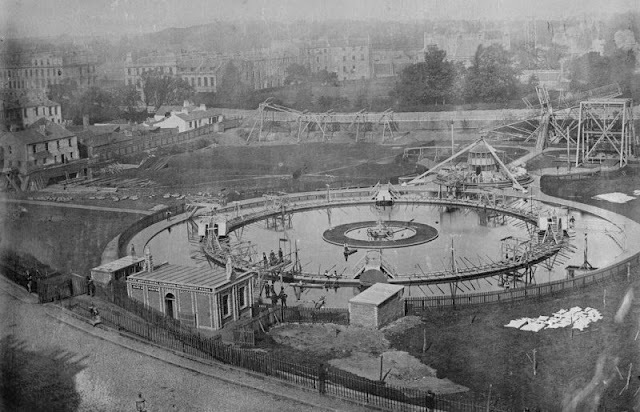 Intended to help improve the health of Cox’s fellow citizens, it provided a place of amusement, recreation and bracing physical training. The self-proclaimed "wonder of Edinburgh" was soon at the heart of Victorian life in the city and was frequented by Robert Louis Stevenson (who used a Hammond). Wonder of the Age!!! just like the hype around the Segway. 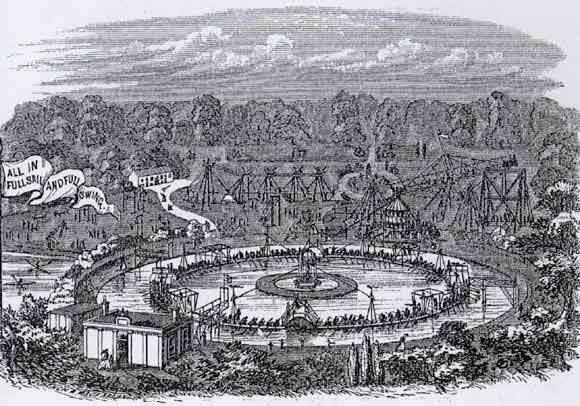 I think Fallow Fields needs to resurrect that gymnasium theme park.